As life is well and truly sprouting at this time in Spring, we will be opening our eyes and realising how much art is inspired by what beautiful nature we see around us. We will learn from the likes of William Morris and other Arts and Crafts artists, to create our own arts and crafts. 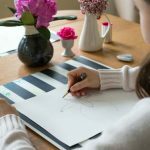 Find your child taking part in observational drawing inside and outside, helping them to draw what they see. 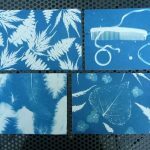 We will also be eco printing, quilling as a craft, and also using light sensitive paper to create fascinating cyanotype images with natural objects.